Bakareta or Beef Bakareta is one of the most popular and favorite dish specially during Fiestas or any special occasion in the Philippines. 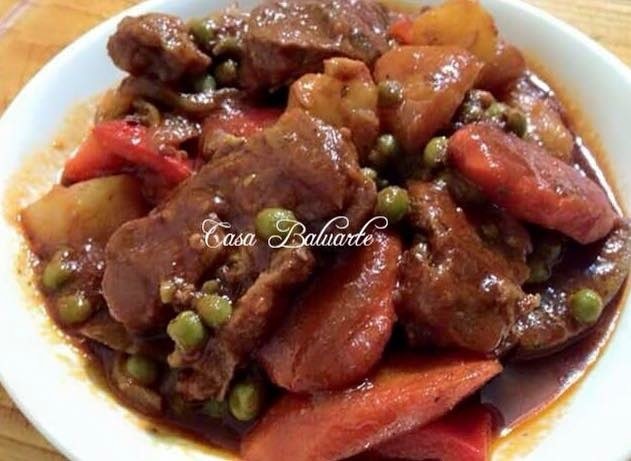 Some make this dish out of goat meat (Kalderera) but I myself rather stick to beef. Boil beef with enough water to cover the meat in a pressure cooker. 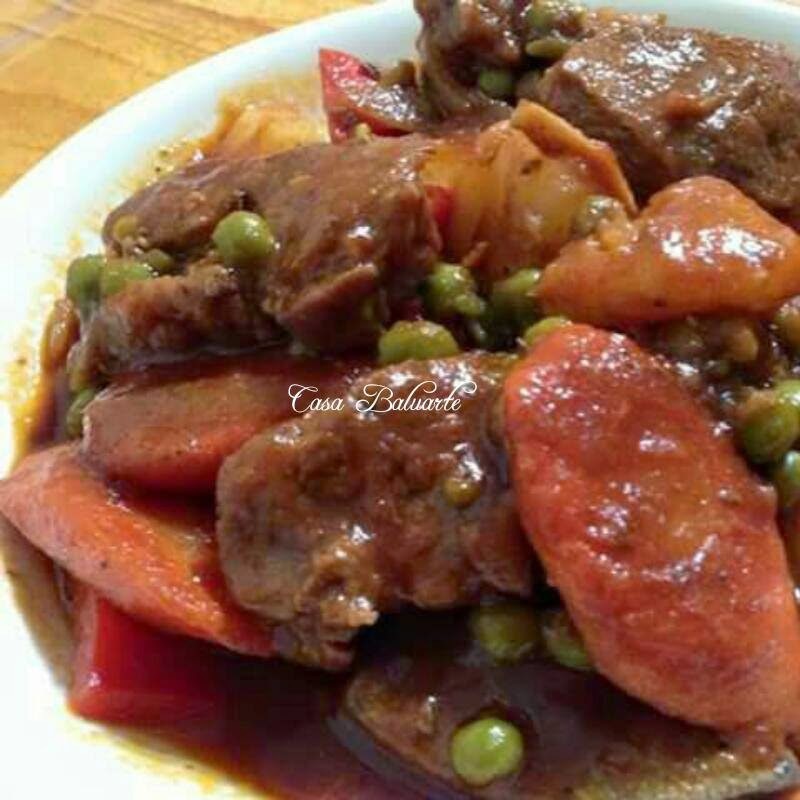 Using pressure cooker saves you some time. While waiting for the beef to soften, brown potatoes and carrots in cooking oil and set aside. Using the same cooking oil saute garlic and onions till caramelized. Add the slices of liver and saute till golden brown. Now add the boiled beef to the mixture (save the remaining beef broth for later). Pour in the soy sauce, bay leaf, ground black pepper, sugar and bell peppers. Add the tomato sauce, remaining beef broth, potatoes, carrots, olives and snow peas.